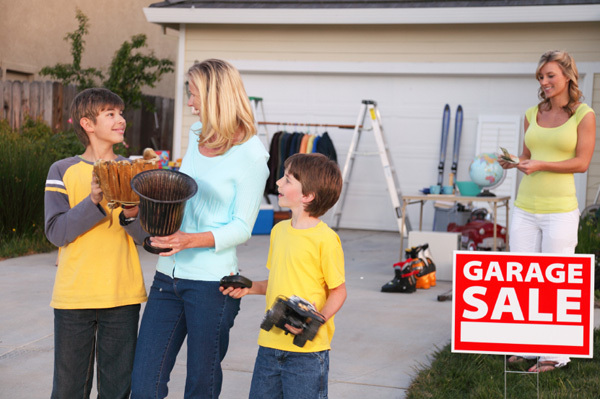 Holding a garage sale can be the best thing for your place, especially right before a new season hits. With spring approaching, you’ll want to reorganize your wardrobe and decor and embrace colour and sunlight. But, before you start to buy and redecorate, get rid of all the things you don’t use, first. The way we shop for ourselves and our homes is always relative to the seasons. Right before spring hits, the stores are always booming with colour. Spring dresses and hats, flowers for your home, colourful door mats… not to mention spring essentials like gardening tools or sunscreen… there’s always a lot to buy in preparation for spring. It is not easy balancing out our shopping desires and our shopping needs. We might need new plants for spring, but we do not necessarily need that new nail polish or the scented backyard candles. With the way the fashion industry works (and by fashion I don’t just mean clothes, but everything, really), we are always introduced to new trends with the beginning of each new season. We obviously have a lot to rely on from the spring season of last year, but we all love to stay trendy and buy some just-ins. So, to reduce the guilt factor as well as the clutter, have a garage sale right when spring is approaching and get rid of all that you won’t be using. Once we decide that it’s time for a garage sale, we realize that it’s hard to start. Should I start with kitchenware or accessories? One easy way to organize yourself is to go through your home room by room, first looking at winter things you didn’t really use or won’t be using next year; then, considering spring items from the year before. Now comes the hardest question of all: Do I need this? We hold on to our belongings so tight — gloves we never wear and a vase that remains hidden in the basement — that it’s often hard to actually let go. In order to do it a little more easily, think of how you will be replacing an item. Ask yourself, will I really use this or am I better off buying something else? And be honest!